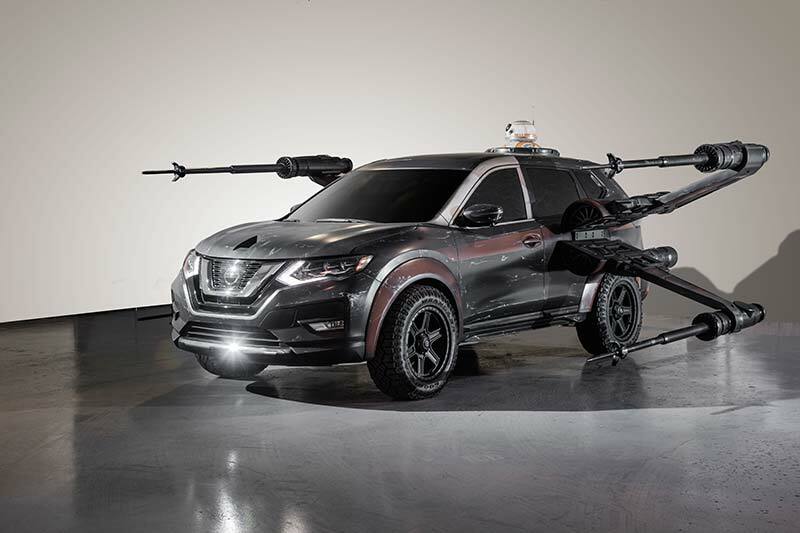 In our coverage from the L.A. Auto Show earlier this week we alluded to the seven Star Wars-inspired vehicle concepts that Nissan had displayed in their booth to promote the release of the franchise’s latest movie offering Star Wars: The Last Jedi on December 15th. 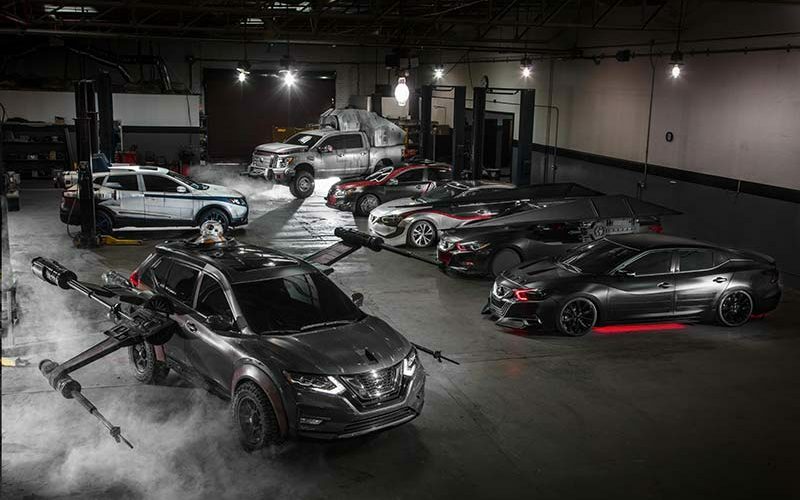 The vehicles were created to highlight both Nissan’s dramatic vehicle designs and the famous characters and crafts from the upcoming film. 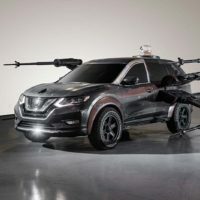 Using Nissan models with expressive design lines, such as the Rogue, Altima, Maxima, Qashqai (Rogue Sport in the U.S.), Maxima and TITAN, each vehicle was developed by artists in the Lucasfilm offices which paired the vehicles with a craft of character from the movie. 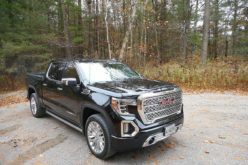 Each concept vehicle – which are not available for purchase – was created with its own unique approach and included extras such as hydro-dipped graphics, surround sound and aged exterior design to show simulated battle use. 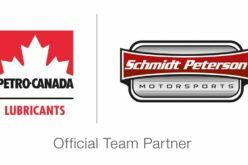 Once the designs were complete, legendary Hollywood vehicle fabricators at Vehicle Effects were able to bring the vehicles to life. In the Star Wars Universe, the Special Forces TIE Fighter is a strike fighter used by the First Order’s elite Special Forces Pilots which has been fittingly recreated using the Nissan Altima. 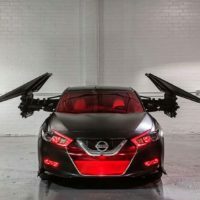 The vehicle features custom body enhancements, and features a cockpit window that brings the multi-paned look of the Special Forces TIE fighter to the Altima’s windshield. 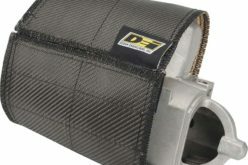 Custom wheels, a full body wrap, and speakers at each corner to mimic the iconic TIE Fighter and blaster sounds are also featured. 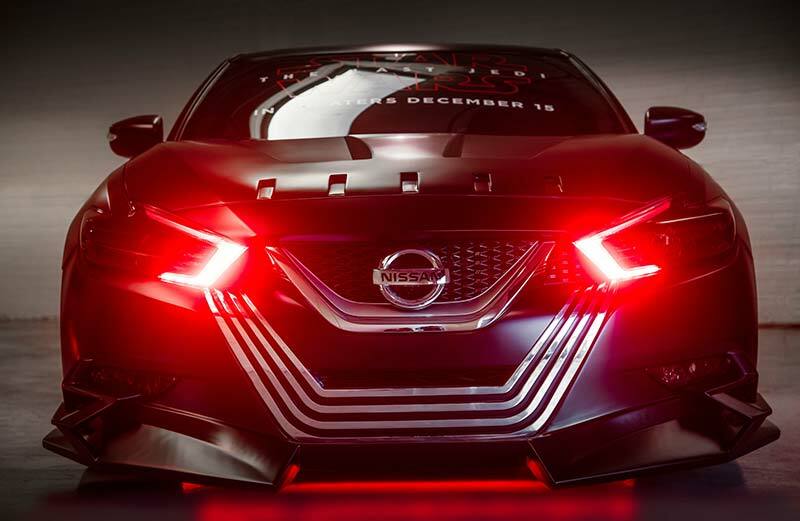 The existing aggressive design language of the Maxima made it ideal to represent the film’s and current series main villain; Kylo Ren. 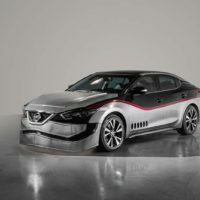 The antagonist’s black and silver facemask has been merged with the Maxima’s V-motion design language using a single block of milled aluminum for the front of the 4-Door Sports Car. 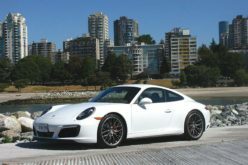 A custom front lower spoiler is also featured as is an impactful hood and body coating that matches character colour specifications. 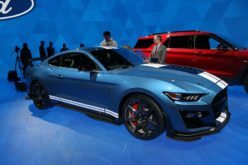 To complete the look, the red signature headlights and underbody lighting pulses at random which is similar to Kylo Ren’s lightsaber. 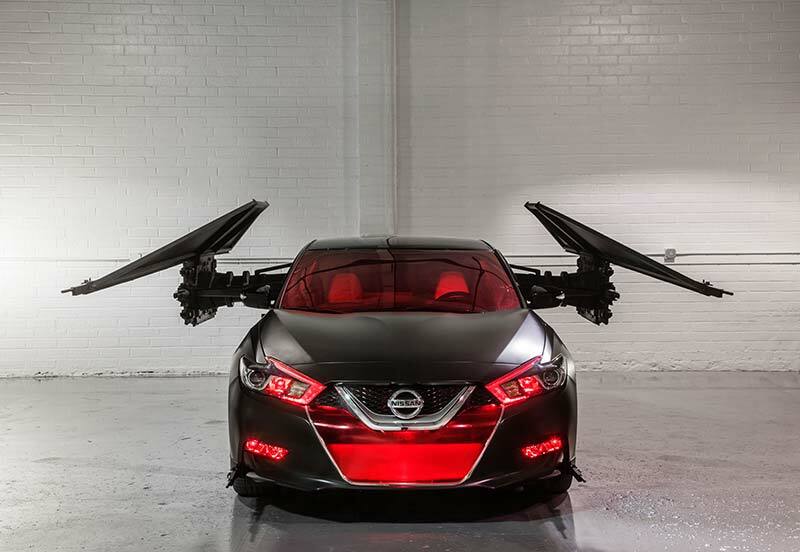 The 2018 Maxima was also used for another Kylo Ren-inspired design, this time for the villian’s TIE Silencer. The one-off TIE Silencer is customized to Kylo’s specifications with laser cannons and missile launchers affixed to the vehicle’s distinct wings. 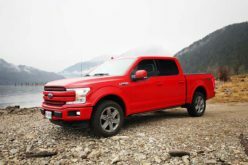 Crimson lighting is featured on and underneath the grille and sound effects pulled directly from the movie take this vehicle to the next level. 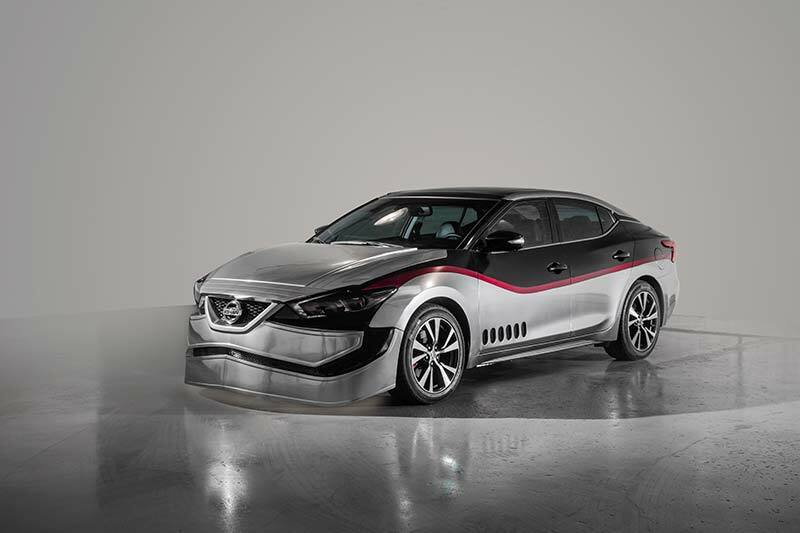 The 2018 Maxima made its third appearance in the booth, this time joining the First Order ranks and creating the Captain Phasma Maxima that is covered in high-gloss silver armor and bears the mask of the strong female character from the film. 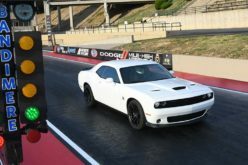 The front fascia and hood are each hand-crafted from aluminum while a red accent line runs the length of the car with ground effects appearing under the car. 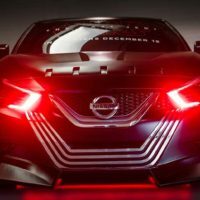 The concept is a celebration of female strength; Nissan’s Maxima team is led by a female engineer, the designer for this vehicle was a female from ILM and the vehicle was created to celebrate one of the toughest female warriors in the galaxy. 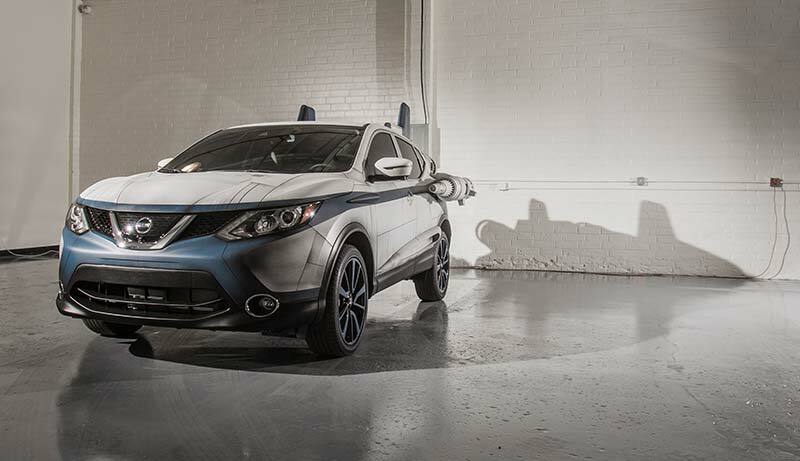 The 2018 Nissan Rogue was chosen to represent Poe Dameron’s X-Wing which leads the New Republic Starfleet with massive wings spanning on either side of the vehicle. The T-70 X-wing Starfighter features a pair of illuminating thrusters, while quad laser cannons are integrated into each wing tip. Sitting atop the crossover SUV is a full-size BB-8 astromech droid with fully functioning lights, motion and sound. 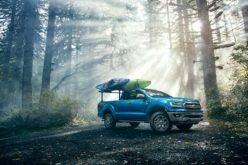 A rugged wheel and tire package is also featured which adds to the rugged valor. 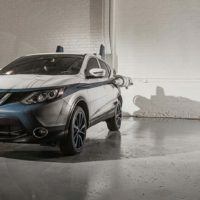 The quick and nimble A-wing is a perfect fit for the also quick and nimble Qashqai, and features dual thrusters at the rear of the vehicle and are illuminated. The top-mounted fins mimic the A-wing’s design while the wheels are painted blue to match the crafts accents with newer tires fitted to provide a wider stance. 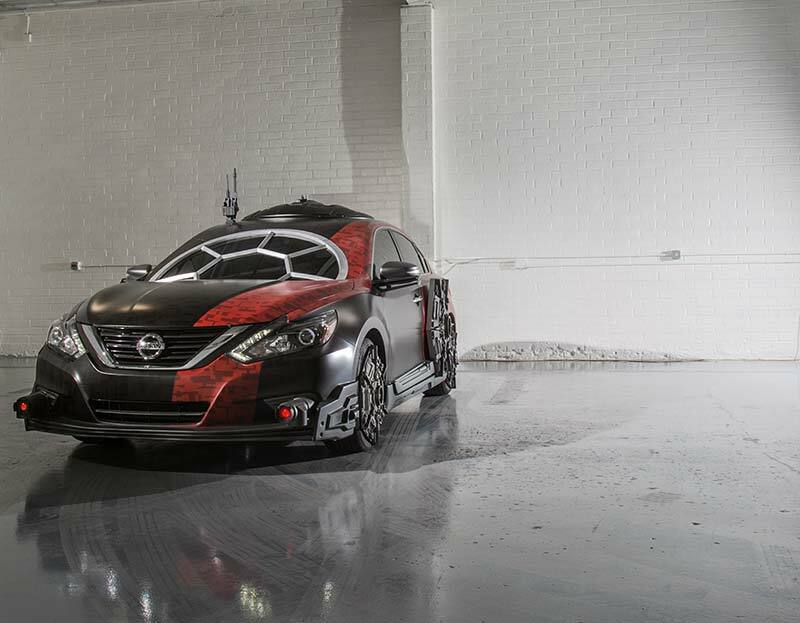 Laser cannons flank the vehicle and a detailed wrap with battle damage adds to the realistic design. 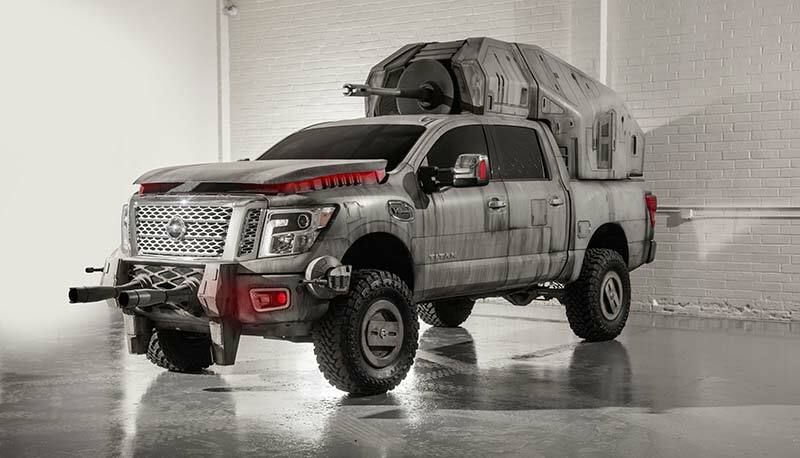 The AT-M6 is the largest vehicle in the First Order’s arsenal for Star Wars: The Last Jedi and to represent this, Nissan created its show car replica with a Nissan TITAN which is the biggest vehicle in Nissan’s fleet. 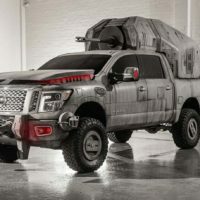 The show truck features a massive megacaliber cannon attached to its back and a custom body wrap that is reminiscent of the film’s massive First Order walker. The wheels boast hydro-dip graphics to mimic a walker’s leg joints while a 1-foot lift kit is applied to promote its destructive appearance. 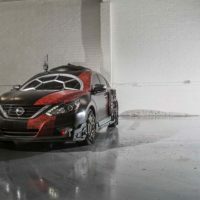 Designers installed sound system capable of mimicking the walker’s ground stomping movements and helps bring the vehicle to life. To do this, designers utilized an 18-in. bed-mounted subwoofer with a companion surround sound system.